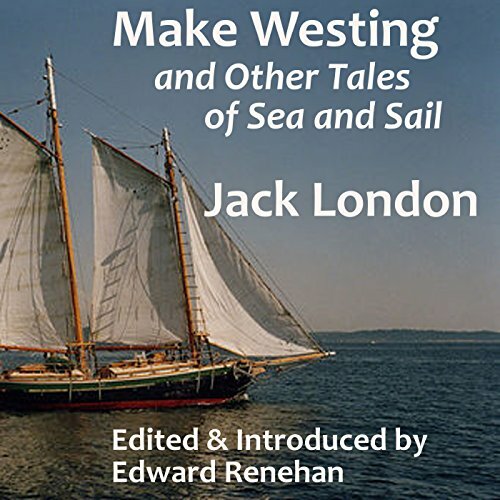 A lifelong waterman, Jack London (1876-1916) left behind a rich store of bold and beautiful prose depicting life upon the sea, under sail, and in step with wild, often perilous nature. Featuring an extended introductory essay by author and sailor Edward Renehan, Make Westing presents the very best of London's nautical prose in one volume for the very first time. In these carefully selected essays, chapters, and short stories, London brings us the sound of the wind in the rigging, the rapture of solitary, starry nights spent out of sight of land, and all the other scents, sounds, emotions, and feelings so familiar to sailors everywhere. Behind every utterance lies a deep and reverent love for the sea and its magnificent, dangerous grandeur. In these testaments London reveals himself as not just an eloquent and authoritative narrator but also a boon companion, friend, and ally of all who share his passion for the delights of blue water. Contents: Introduction (by Edward Renehan); "Small Boat Sailing"; "Typhoon off the Coast of Japan"; "Good Sailors in a Wild Anchorage"; "Perilous Hours"; "White and Yellow"; "Chris Farrington, Able Seaman"; "Make Westing"; Chapter Six from The Sea Wolf; "From the Sandwich Islands to Tahiti" (excerpt from The Voyage of the Snark).